Which stocks do you offer? Our universe includes more than 1,500 stocks, ADRs, and ETFs including every stock in the S&P 500. You can access our universe by clicking on the Buy Stock button when you login to your Stockpile account. 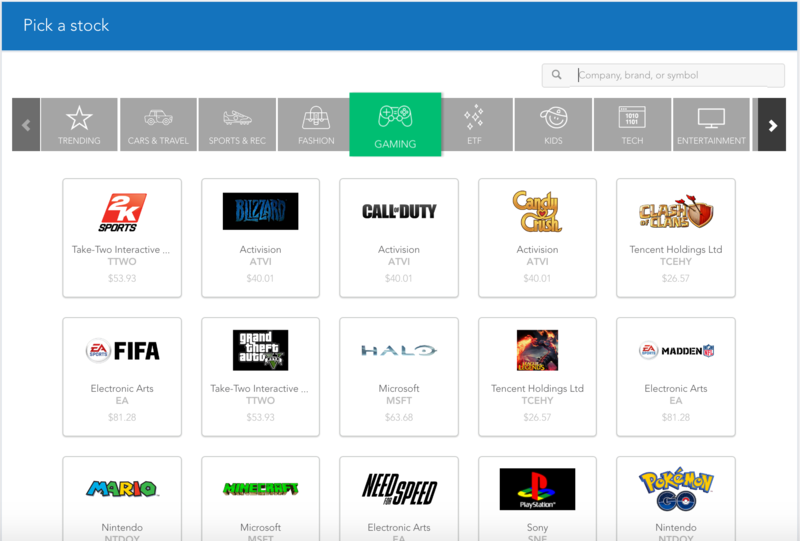 There, you'll be able to browse stocks by category. Or type the company name or stock symbol in the search box at the top right of the page. You can even enter a brand you know (ESPN, for example) to pull up the stock that's behind it (Disney). We're constantly adding stocks to our universe, including companies that have recently gone public. If there's a stock you'd like to buy, email support@stockpile.com and we'll see if we can add it. There are some stocks we don't carry. These include penny stocks, bulletin board securities, pink sheet stocks, foreign ordinaries, and stocks trading below $6.00 per share (commonly known as penny stocks).